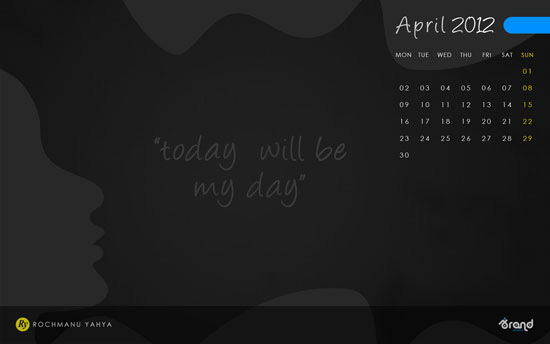 No April Fools joke today. 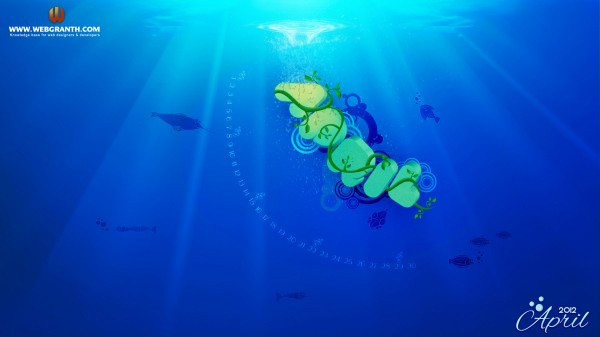 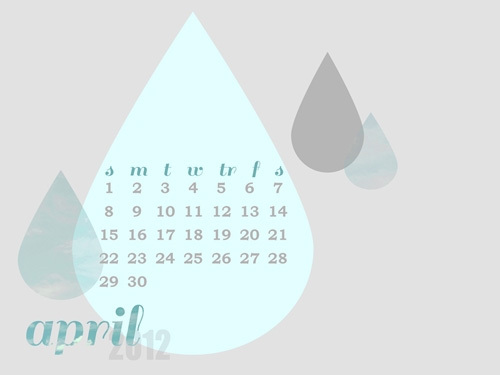 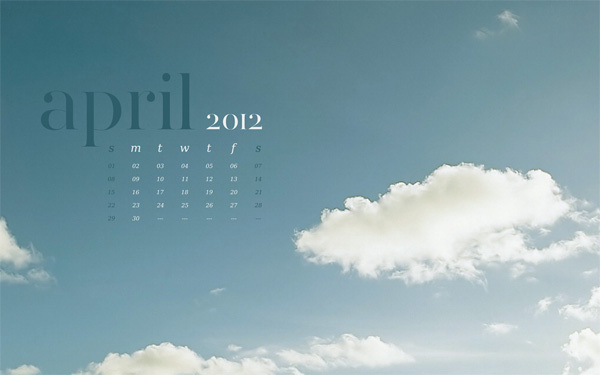 Instead let me present a roundup of Desktop Wallpaper Calendars for April 2012. 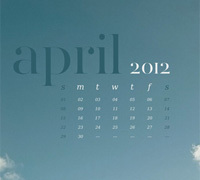 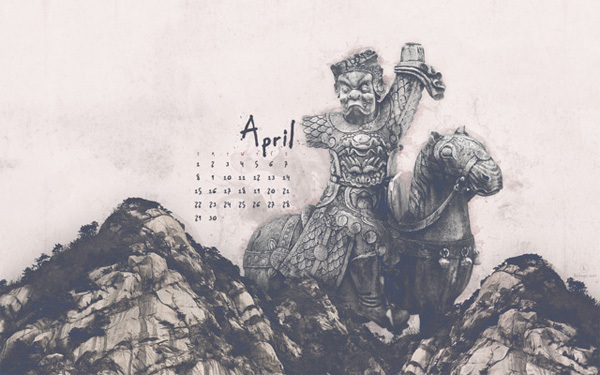 With spring in full swing, I’ve gathered several beautiful desktop wallpapers featuring April 2012 calendars. 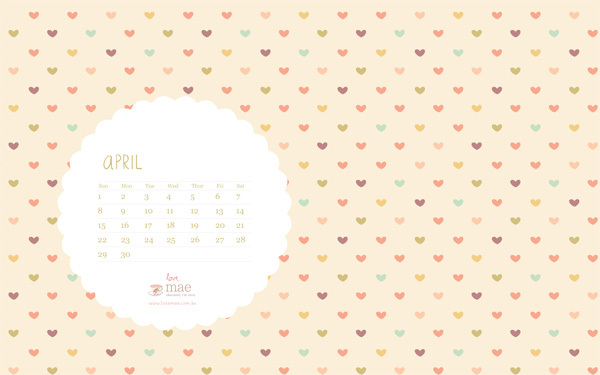 Freshen up your desktop and check back next month for a brand new calendar update. 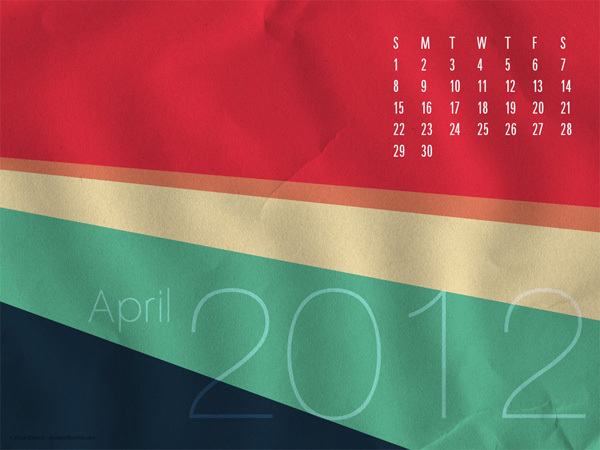 Feel free to share these with your friends and email me if you ever would like your calendar featured in a similar roundup.